Tired of waiting for your first deals to get closed? Ever wonder how these other investors are getting started and closing deals so fast? 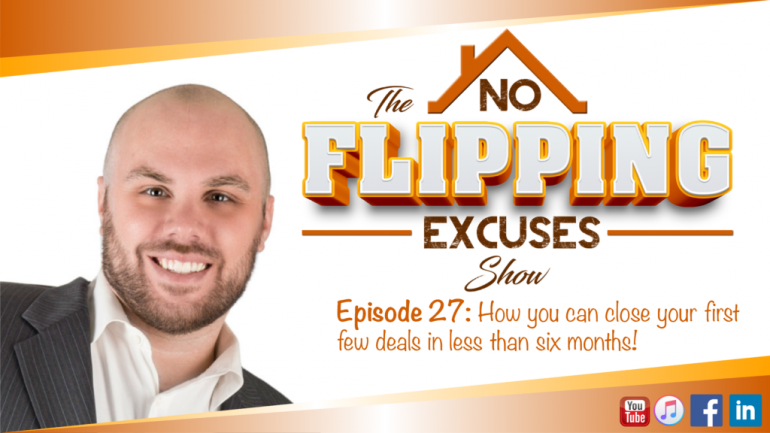 Episode 27: Close your first 4 deals in less than six months is available! Jason just had a student sign up with his Direct Deal Profits program and in record time he used our training to help get his first four deals closed! That’s right, his first FOUR deals! Wouldn’t you like to learn how you could close your first for deals in record time? Student-investor Darrius went from not closing any deals to making a $13K check and walking away from his full-time job and doing this full-time! Jason and Darrius will be going over the training techniques that most people have to pay for so don’t miss your chance to learn these amazing profit generating blueprints for FREE! We have students who are making things happen all the time, our main goal is to share with you how they are using our training to get their business off the ground! Get your notepad out and be ready to have your mind blown! Be sure to Subscribe on iTunes so you can be the first to know about the new strategies you can use to grow your business. Get access to our FREE Deal Evaluation Tools and use what we created for our own business to help you grow yours! Did you have a question for the show? Click to Ask Question and we will make sure to have someone help you out! You never know, you might even be a guest on our next episode!